Spices have been used for centuries in Chinese and Indian (Ayurvedic) medicine to predominantly for their anti­inflammatory and antioxidant properties. They are gut biome healing powerhouses, and some are pretty tasty, too! The antioxidant properties of spices have the ability to stop those free radicals that damage cells and lead to inflammation. Turmeric is definitely one of those life-enhancing spices that you should stock in your cupboard at all times. But seriously, fill your home with spices and herbs because ounce for ounce, herbs and spices are extremely potent compared to other foods. Adding just a few spices and herbs to your food, especially desserts, can amp-up the antioxidant power of your meal in a delicious way. That’s why I used Turmeric in this deliciously healthy and healing Turmeric Frosting! 1/3c coconut water or non­dairy milk ; add more to get the frosting consistency you like! Using a food processor.. process your ingredients until creamy... that’s it. Simple, right? A simple, delicious, and brain­boosting frosting you can make in minutes. Bonus! – Turmeric is especially great for people dealing with any sort of pain (think knee pains and arthritis), inflammation or high cholesterol. 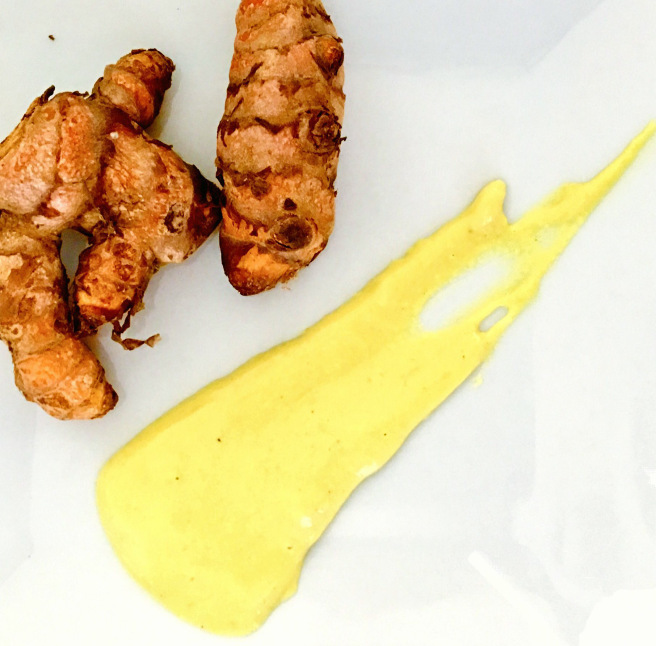 Again, Turmeric is a life­ enhancer, providing long ­term protection to your mind and body!